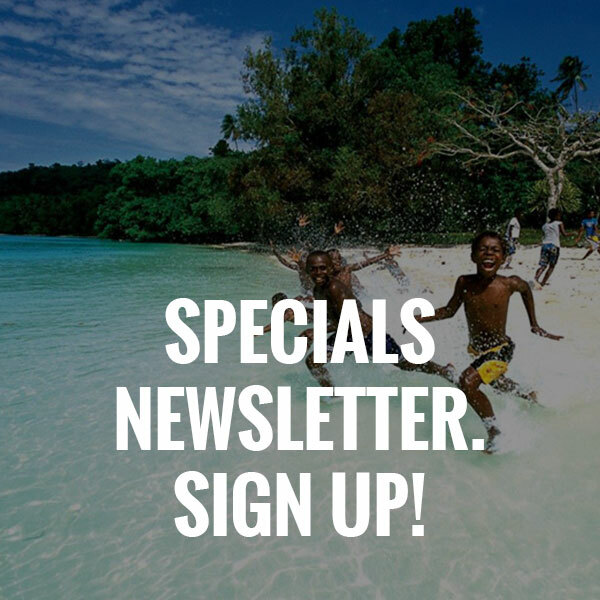 Plan your next Vanuatu Escape! Fill in our booking form below. Takes just 30 seconds. Our experience travel consultants help you plan and book the perfect Vanuatu holiday. Secure your preferred dates. Contact us directly, or simply fill in the form below. Help us create the perfect Island Escape within your preferred budget. We'll do our best to quote within that range or make a recommendation for another resort or holiday special. Thank you! If you are unsure of your exact departure date an estimated departure date is OK.
Do note some package deals have minimum night stay requirements so it's a great idea to check the package details before submitting your enquiry:) Thank you! To assist us in quoting you correct pricing please advise the age of your children at time of travel. To ensure we give you the most accurate quote we will require your destination airport information. Your phone number is not required but it may be quicker to correspond if you provide it to us. Choose ...HELP ME BOOK: I’m ready to make a booking. I just need a few more details first.JUST A QUOTE: I’m comparing prices with other operators. Please send me your best quote.STILL RESEARCHING: I’m still deciding where. HELP! Any Special Requests or Information You'd like to Share? Island Escapes can contact your preferred travel agent on your behalf and let them know you've found one of our fabulous packages deals. You will find our standard Terms and Conditions in the right hand side of the footer under IMPORTANT INFORMATION in each page of our website.